However, when you're merely talking about getting to a certain focal length and throw equivalent image quality out the window, one of FX's biggest advantages is having a huge selection of used lenses from the film area. Most of those lenses give very good image quality when used on full frame (which is what they're designed for). Most 'old' tele lenses do similarly good on DX as on FX (and are by definition cheaper on DX because a shorter focal lengths are generally cheaper). We're not just talking about telephotos here. Moreover, I don't think your statement that most tele lenses are just as good on DX as FX. DX can be thought of as a 1.5x teleconverter - it places a lot more demand on central resolution. Old teles designed during the film era probably weren't built with that in mind...unless you talk about really expensive high end models where no expense is spared to deliver the best sharpness/aberration control possible and therefore happen to be still be adequate with DX today. But with wide angles and standard zooms, old lenses provide far cheaper options when trying to cover a set of focal lengths. Getting a 14 mm as your first UWA is not the most practical solution, most people will make more use of something not quite as extreme. Ok, perhaps, but that's still an example of FX blowing away DX IQ for a lower price. And I doubt that those having spend good money on a FX camera will really go for a $100 WA and get worse IQ than they got from their DX system. It's not worse IQ. It's better IQ. I'll bet that my $100 Tamron 19-35/3.5-4.5 beats the $500 Sigma 10-20/4-5.6, especially when sharpness is concerned. The Tamron is impressively sharp stopped down. The only weakness is the extreme corners at 19mm. I tried using the Sigma 10-20 on a friend's camera (18 MP APS-C), and even at f/8 I wasn't impressed by the Sigma's sharpness. Oh, and the 10-20 had a terrible right side...it was probably decentered. Very few people switch to systems that produce worse IQ than their current ones (except when getting something noticeably smaller). In my opinion, most people that switch to FX do so to get better IQ not to get cheaper lenses, and generally if you want increase your quality level you will be willing to pay more and thus in reality do spend more. Again, you're not losing any IQ. You're keeping either the same or getting better IQ...and getting better low light performance. And if you want to take IQ into consideration, you have to take the superior noise performance of FX sensors into account. The D600 is more than a stop ahead, so when you're not in bright sunlight, it's like having a lens that's a stop faster. You cannot have your cake and eat it. You either get the same light gathering (eg, f/2.8 on DX vs. f/4 on FX) and possibly save money doing so, or you get better light gathering (lower noise) by replacing a f/2.8 DX lens with a f/2.8 FX lens but then you you pay more. 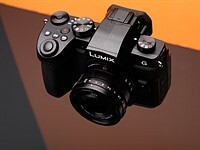 Yes, so with FX you can save some money and get only a slight IQ increase (easier to give better performance wide open with a f/4 lens than a f/2.8 lens, and FX sensors are actually more than a stop better in low light), or spend more money and get IQ/low light capability that DX can't dream of reaching. http://www.dpreview.com/forums/post/51398092 for a discussion on trying to obtain equivalent IQ...DX only wins for telephoto and macro. Which illustrates my point that people switch to FX to get better IQ not to get something cheaper. You can go both ways...get only a slight IQ improvement and save money, or get a huge IQ improvement by spending more. There's nothing stopping anyone from taking the cheap lens route. And there's certainly nothing in my post that implies taking the really-high-IQ route is the best route. What "most people" do is irrelevant. If I did what "most people" would recommend (to get an action shooting setup capable of 600mm reach), I'd have spent more than 3 times as much on camera equipment. Not once in my equipment research process did I ask myself "is this what most people do?"